I am generally hopeless at growing tomatoes. I thought that it was just me, but my neighbours have given up even trying, so at least I have some company. The problem is that, over recent years, we have suffered from very wet summers and it has been impossible to control the spread of grey mould (Botrytis) in the greenhouse. 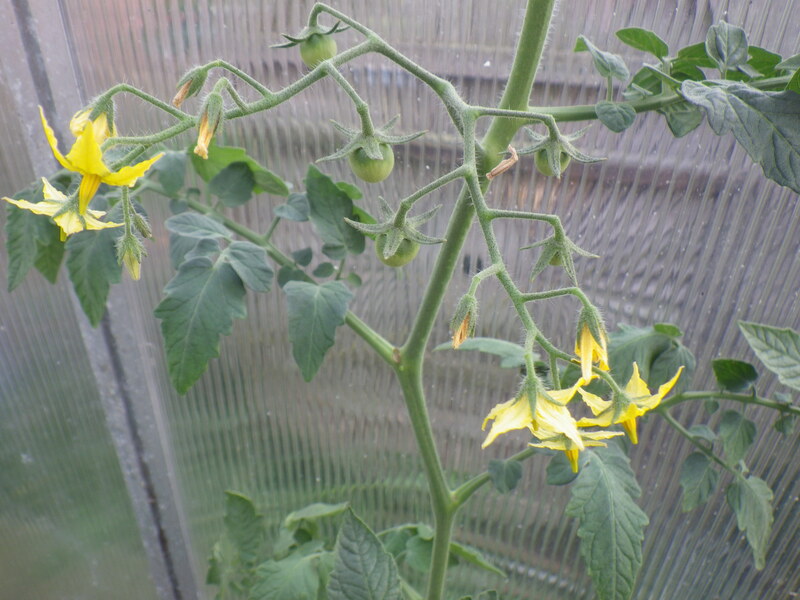 The tomato plants have grown well to begin with, but then the grey mould arrives and attacks the stems and leaves and any tomatoes that do set are doomed to rot before they can grow and ripen and after a relatively short time the plant collapses. The problem also affects peppers and chillies, but seems to be less severe with them. This year, however, is different. It has not been a wet summer; in fact, the last time it rained here was 23 days ago, and over the past two weeks, aside from a little sea fog, we have had sunshine. This means that the greenhouse needs constant ventilation and the plants therein require regular watering, but the grey mould does not stand a chance. So, for the first time in ages, here is abundant tomato set, (I’m growing Gardener’s delight this year) and I have high hopes for a good crop. 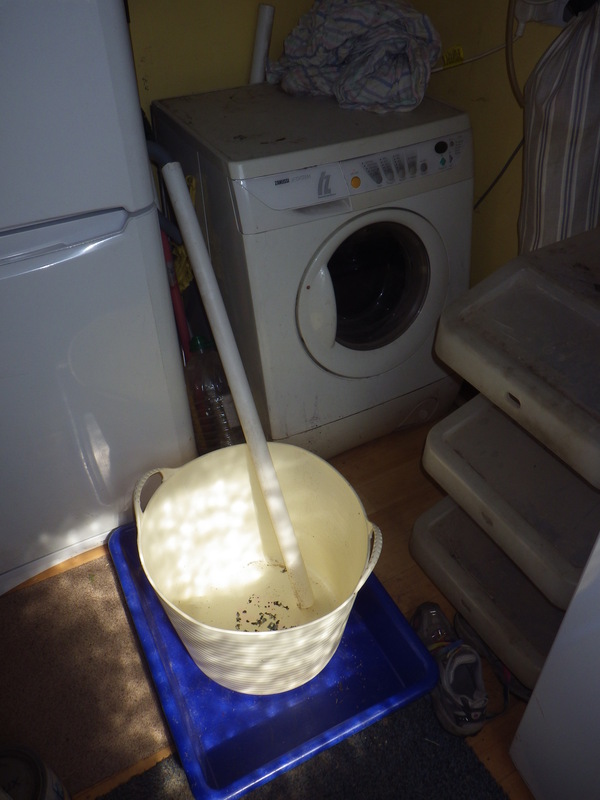 Of course all this sunshine and dry weather means that we have nearly used up all of the rain water from our stores, but this has encouraged us to set up a simple system for collecting the water from the washing machine. Collecting the water this way means that it can be used to fill watering cans or bottles and be transferred to where it is needed in the garden or to the toilet cistern without any difficulty… and the tomatoes, courgettes, beans and potatoes are certainly welcoming it and I’m pleased to have discovered how easy it is to collect this additional source of grey water. Yes, I couldn’t believe it when I counted the days in our diary. Anyway, storms forecast for this week, so we should be back to a normal British summer soon!